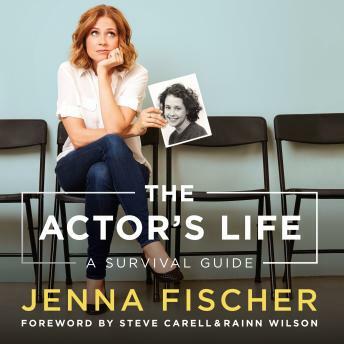 Listen to "The Actor's Life: A Survival Guide" on your iOS and Android device. If only she'd had a handbook for the aspiring actor. Or, better yet, someone to show her the way an established actor who could educate her about the business, manage her expectations, and reassure her in those moments of despair. With amusing candor and wit, Fischer spells out the nuts and bolts of getting established in the profession, based on her own memorable and hilarious experiences. She tells you how to get the right headshot, what to look for in representation, and the importance of joining forces with other like-minded artists and creating your own work invaluable advice personally acquired from her many years of struggle. She provides helpful hints on how to be gutsy and take risks, the tricks to good auditioning and callbacks, and how not to fall for certain scams (auditions in a guy's apartment are probably not legit or at least not for the kind of part you're looking for!). I really l liked this book. Her advice and insight I found not only good, but also very motivating. I liked her stories, how she uses her and her friends stories to keep the book readable (listenable). The fact that she narrated her own book gives the audio book the voice & feel that Jenna intended. Someone personal tips and advice, someone who genuinely wants to help other artists.